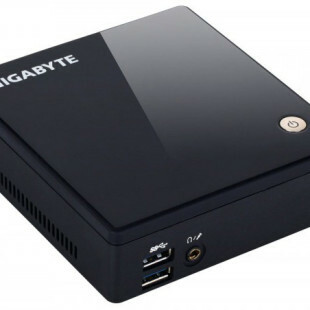 After releasing a few NVIDIA-based G1 Gaming video cards now Gigabyte is busy working on a G1 Gaming model for the Radeon RX 480 video card. 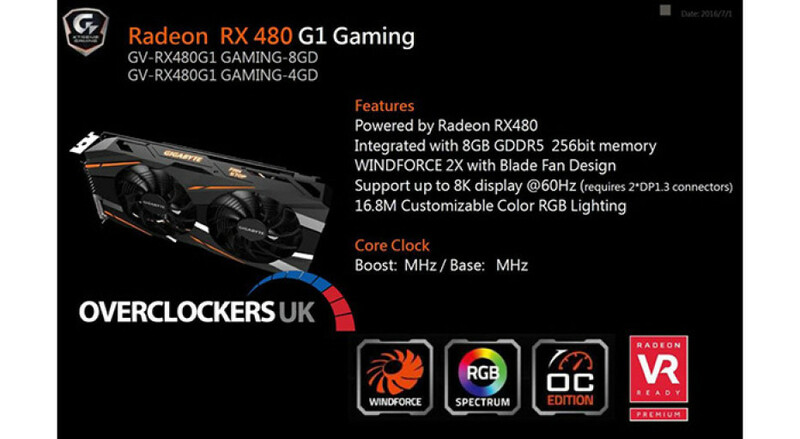 Not surprisingly the new card will be called Radeon RX 480 G1 Gaming. The card will be available in two versions – with 4 GB and 8 GB of GDDR5 – which will be respectively known as GV-RX480G1 GAMING-4G and GV-RX480G1 GAMING-8G. In both cases the GPU will be cooled by Gigabyte’s WindForce 2X cooler so expect to get two cooling fans on top of the GPU. The graphics card will also be equipped with 3D Active technology for the cooling fan and a LED indicator. This means that the fans will not spin when the card is idle or under low loads. The LED indicator will show the status of the fan immediately. A metal back plate will sit at the back of the card and will give more resistance against bending and other dangerous such events. Unfortunately there’s no information on the clock speeds of the memory and the GPU inside so we are left guessing now.